What is the Bookings By Campaign Report? Are you utilizing the Campaigns portion of Tracking in Gather? 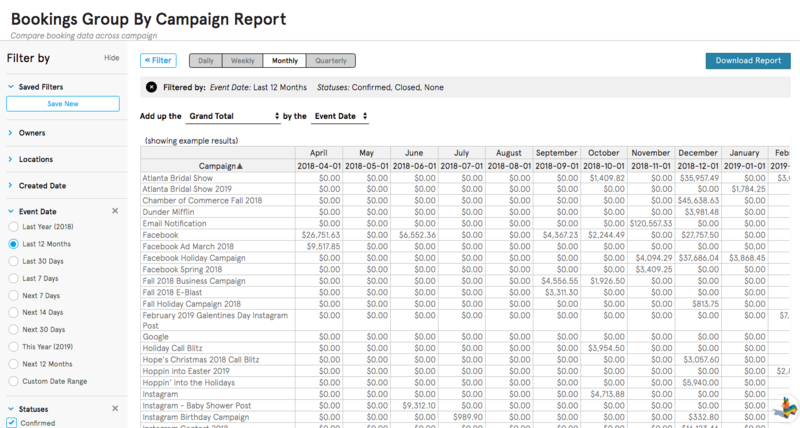 The Bookings By Campaign Report is the perfect way to see which marketing campaigns brought in the most revenue! Click on the desired 'Bookings By' Report found in the middle of the page.